New to the studio! 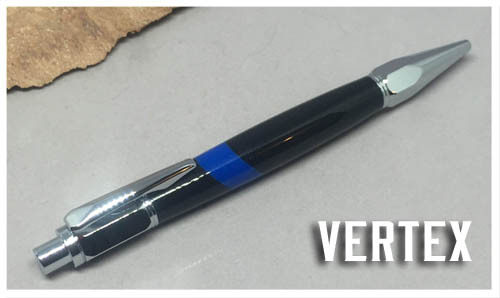 These pens are made from rich colored acrlylics -- black and royal blue. 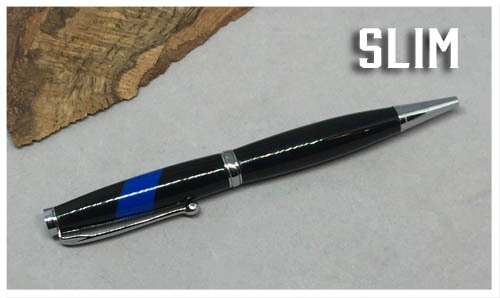 Show your support for the Law Officers in your life! 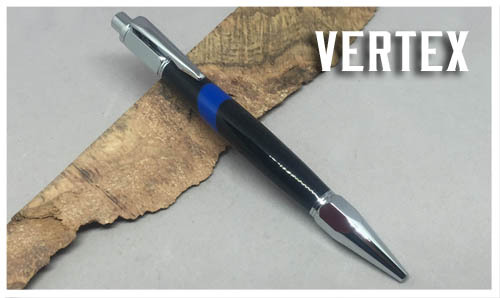 This beauty features a click mechanism and a Parker style refill. Hex head and nib accents. 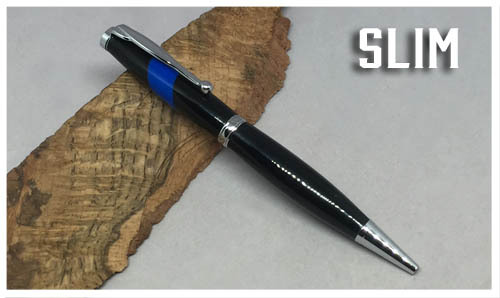 This pen has a twist mechanism and features a Comfort Center Band to help eliminate writing fatigue. This pen uses a Cross style refill. Each pen made by me comes with a presentation sleeve. Gift boxes are available for an additional fee.